A Thermal Oxidizer (also referred to as a thermal oxidiser or incinerator) is a combustion device that controls volatile organic compounds (VOCs), CO, and volatile HAPs by converting (destroying) to CO2 and H2O through the use of heat. Fully oxidizing VOCs requires a combination of residence time, temperature, turbulence or mixing of the combustion air with the process gas. A Direct Fired Thermal Oxidizer, or non-recuperative thermal oxidizer, is a very basic in design, with the main components consisting of a burner and a combustion (retention) chamber. Commonly referred to as afterburners, incinerators, or direct fired thermal oxidizers, our QUADRANT-NR Thermal Oxidizer routinely exceeds all regulatory requirements. 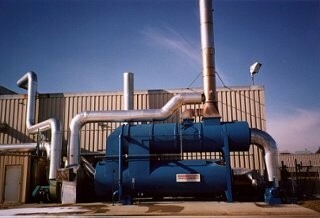 Non-recuperative thermal oxidizers are used on applications where primary air to air heat exchangers are not necessary. 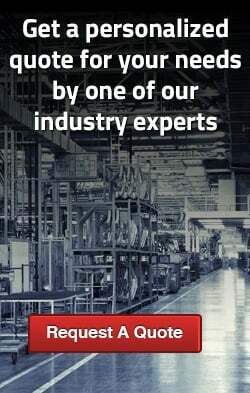 Special applications that have very high solvent concentration levels, low air volumes, high energy demand or secondary heat recovery needs, among others can benefit from our QUADRANT NR-Thermal Oxidizers. The guidelines for applying a direct fired thermal oxidizer revolve around some key criteria: capital expenditure, operational costs, and safety. For example, low inlet volume operational savings usually do not justify the cost of the heat recovery that is necessary. Likewise, high VOC concentrations can cause issues with safety and control in oxidizers which utilize heat recovery. This oxidizer may not be the best technology if there are concerns about the generation of burner related emissions (NOx & CO) due to high burner input requirements. 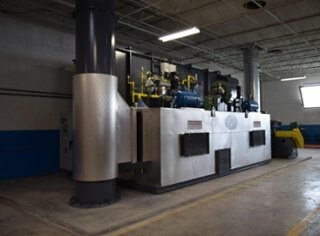 A recuperative thermal oxidizer uses an air to air heat exchanger to preheat the incoming process air using the clean “hot” air from the oxidizer combustion chamber. This primary heat recovery raises the temperature of the process gas before entering the combustion chamber, resulting in lower fuel requirements for the oxidizer burner system. 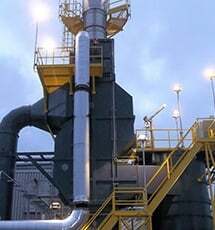 Thermal recuperative oxidizers utilize plate or shell and tube type heat exchangers. 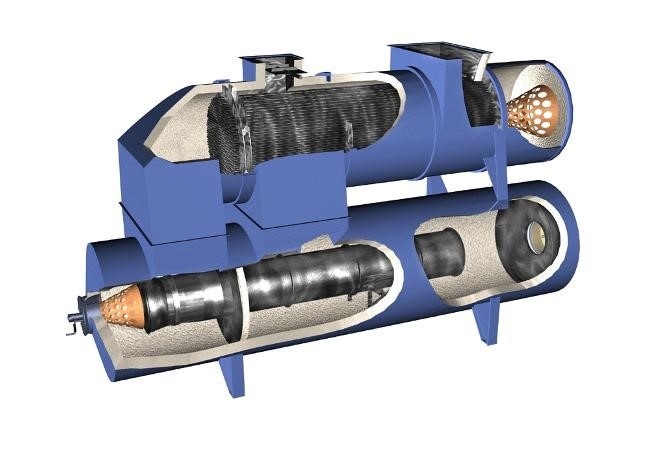 This technology does have some aspects that warrant consideration, including what is typically a higher operating cost, as well as higher NOx emissions than those produced using a recuperative catalytic oxidizer or a regenerative thermal oxidizer. It is a good choice for any technology process that has a high continuous VOC stream, a small air flow rate, or batch type cycling. Also, a secondary system added to a recuperative oxidizer can raise efficiencies and reduce operational costs. Operation schedules should also be considered with recuperative thermal oxidizers, as the stainless-steel alloys utilized in the heat exchangers do have finite life spans if the system is going to be turned on and off each day. A Regenerative thermal oxidizer (RTO) utilizes ceramic heat exchange media instead of a stainless-steel air to air heat exchanger. The advantages of a regenerative thermal oxidizer system revolve mainly around the capital and operation cost advantage for processes with larger airflow and low VOC concentrations (<8% LEL). The thermal effectiveness can be up to 97% with a regenerative thermal oxidizer.